how is mohammad rizwan playing in an under 23 tournament? Isnt he like 26-27? 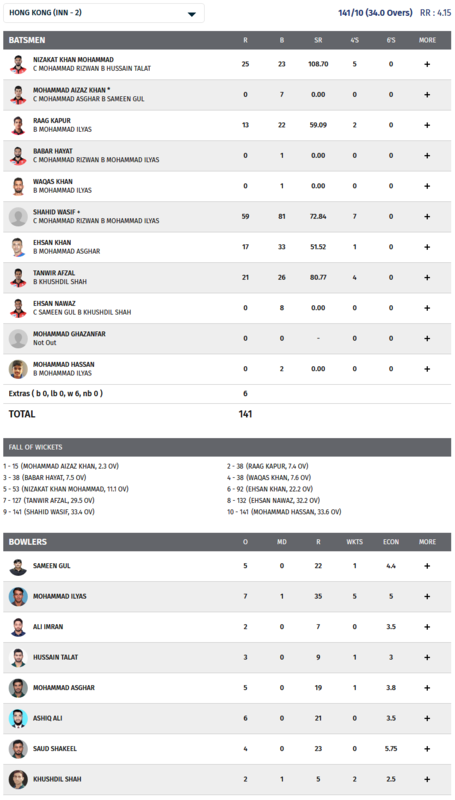 I think, Associates are allowed their full team (or best available squad) - UAE is playing BD, and almost all of their players in CI scorecard are International & over 30. Ali Imran is nothing special. Investing in the wrong guy. Any live telecast of either game? Saw Ali Imran in the QeA cup final hence the post. He is ordinary. But, he is comfortably out playing Farhan (40 of 66 at Karachi against HK!!!!! ), which is even more alarming. But, he is comfortably out playing Farhan, which is even more alarming. Farhan is nothing special too. Scored on phattas in one tournament. Shan Masood is another ordinary opener. 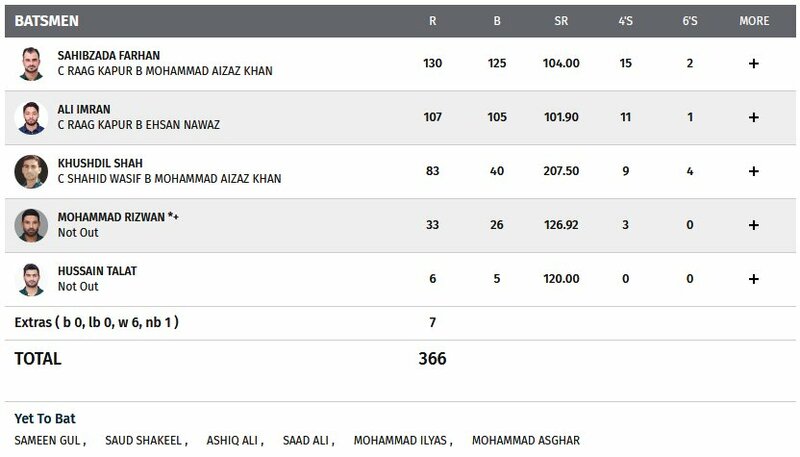 Abid and Zeeshan should open for A team imo. They won't play Zeeshan, which you should understand No way, 4 centurion in 5 innings in countries elite tournament can miss this XI if things are straight. Ul Haq won't allow any young opener/top order to prove something that could be risky for his nephew. Hat-trick and five-fer for Mohammad Ilyas. Ilyas is just another example of how the selectors at the national under 19 level are clueless. Who is this guy Ilyas? Yes, Bhanja comes first, Pak cricket second. Musa khan is very average bowler. We will see how good actually our bowlers and batsmen are.